23 Oct HURISTO Project, let’s recap! What has happened? 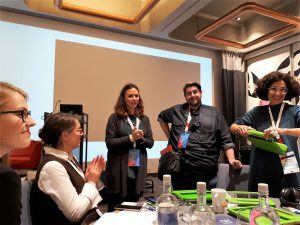 The HURISTO project final event took place in Brussels on the 18th and 19th October 2018 and it was combined with the ALL DIGITAL Summit “Digital Journey: from Inclusion to Empowerment”. Around 160 people participated in the event. The summit was a great opportunity for the HURISTO Project to disseminate its results. An interactive session on “Digital storytelling with illiterate adults” and a workshop on “How to introduce human rights issues and enhance digital skills of low-skilled adults, using digital storytelling” were based on the HURISTO project experience and moderated by Eric Gijssen (in English) and Bakhta Benzaza (in French), from MAKS. 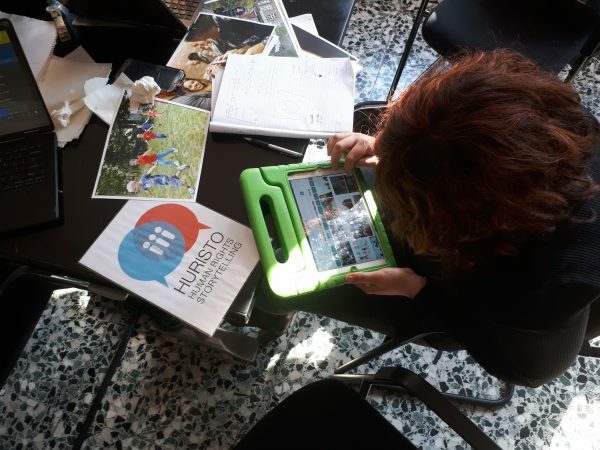 The purpose of the first session, attended by 30 people, was to discuss whether digital storytelling is an appropriate technique to work with low-skilled and even illiterate adults, which are the challenges that they may encounter and which are the possible approaches to overcome them. Eric showed some of the digital stories produced in the context of the HURISTO Project. The author of one of them, from Piedrabuena (Spain), was present at the session! The interactive session helped participants realise how digital storytelling can be the perfect technique for low skilled adults to express themselves in an audio-visual way. They left the breakout session with a lot of inspiration and a bunch of practical ideas and tips. 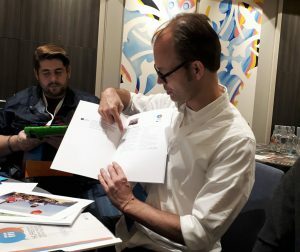 Eric also presented the HURISTO Manual and Photolanguage set produced in the context of the project. The manual is full of tips and tricks ready to use. Check them out here!